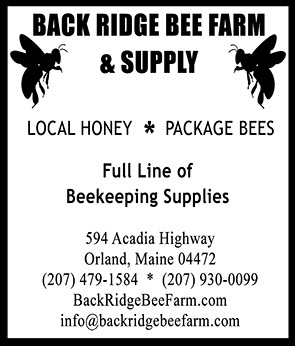 New this winter to the growing list of Bee School offerings in Maine was the Advanced Intermediate Bee School taught by Master Beekeepers Erin MacGregor-Forbes and Cindy Bee. The course, which ran on Tuesday nights, met at the University of Southern Maine campus in Portland. It is one of many Bee Schools taught around the state this year, but the first of its kind at the advanced level. With the assistance of UMaine Cooperative Extension, Cumberland County has coordinated one of the most comprehensive Bee School line-ups in the state to meet the needs of a growing beekeeping community, and now offers three levels of Bee School: Beginning, Intermediate, and Advanced Intermediate. The course is designed for beekeepers with five or more years experience and takes an in-depth look at the current challenges facing honeybees and our relationship with them as beekeepers and stewards. It is an opportunity for students to expand their knowledge of beekeeping practices and explore topical issues on honeybee health and apiary management. MacGregor-Forbes and Bee together have over thirty years of beekeeping experience that covers almost every imaginable aspect of beekeeping. Enhanced by captivating anecdotes from their own work as beekeepers, the course concentrates on subjects of nutrition, queen-rearing, mating nucs, bee removals, as well as some of the latest research on pest and disease control. The class is a great opportunity to better understand the complex and fascinating world of honeybees. It is also an excellent review for those planning to sit for the Master Beekeeper exam. As much as the students receive from this class, they also have been asked to give back to the larger beekeeping community as mentors for their local bee clubs. Every beekeeper has the potential to provide guidance and encouragement to a first-timer, whether it be through visits to a new beekeeper’s hives or by having a newbie assist in the mentor’s own apiary. Ongoing support and education is critical to sustaining a thriving beekeeping community in the state, and experienced beekeepers who volunteer as mentors are a vital part of this system. There are numerous Bee Schools being presented this year throughout Maine from Springvale to Skowhegan, Mexico to Machias, and several stops in between. If you haven’t signed up for a Bee School since your very first course, consider taking one of the upper-level classes popping up around the state or encourage your local club to sponsor one in the future.